Karthik Night is a night filled with bhakti. It’s a night where everyone sings and dances until the morning sun has risen. 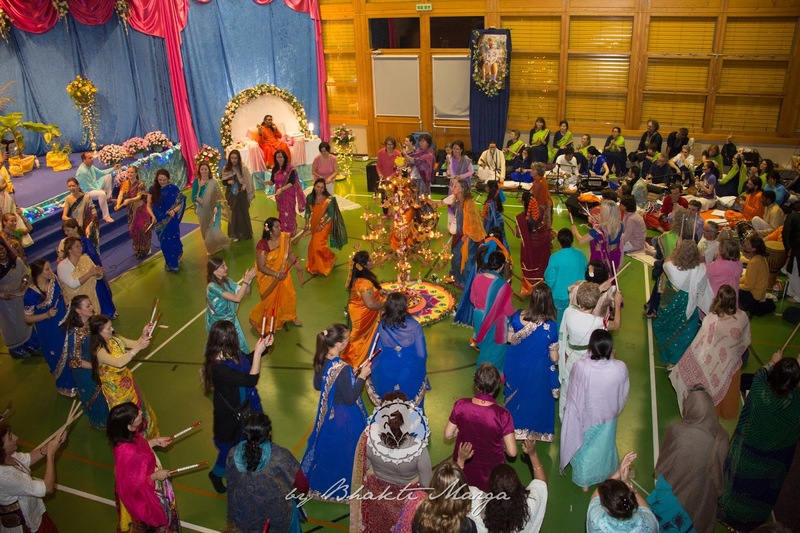 Dedicated specifically to Lord Krishna, this Karthik night in Cudrefin, Switzerland, was a real blessing for all who attended. The night began with a short procession to install the deities onto the altar that had been decorated and designed by the Bhakti Marga Switzerland team. From murals of Krishna, to beautiful curtains draping down all around the room, the organisers of the event truly did a remarkable job. 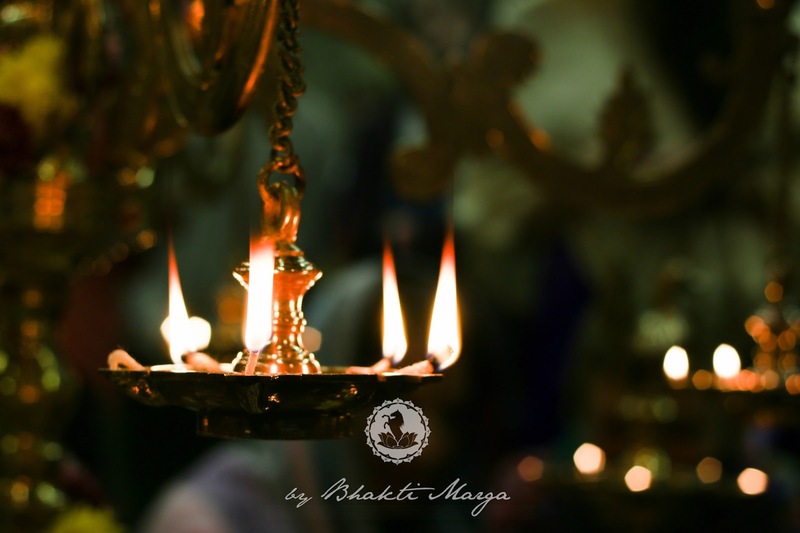 ...Karthik, it is the month which is very dear to Lord Krishna and it is said during this time of Karthik, whatever you do in remembrance of Thakur, in remembrance of Krishna, Narayana, Rama, you bear merits a hundred times more than usual. Normally when you pray, very often you have a certain aim, (there's a reason) why you pray. Isn’t it? You have to ask God for something, you want God to reveal Himself. 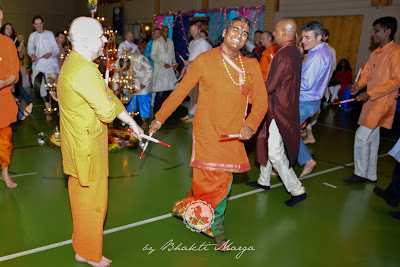 But during Karthik, whatever you do in remembrance of Him, it bears hundred times the merit it normally has. That’s why this month is very important. And especially today (since) it is Ekadashi, which is also even more special, because today is very dear to the Lord. Every month there is one day which is dedicated to Maha Vishnu and that is Ekadashi. When you fast on this day, whatever you long for, deep inside, will help you to connect more to Him. So you are already in the blessed month, and on a blessed day. Like I explained last year, you can sing the Glory of the Lord any time and it always bears good fruit. It’s not that only today or only in this month when you chant the Glory of Krishna you have good merit. No, you always have good merit. Whenever you think of God, it’s always good. 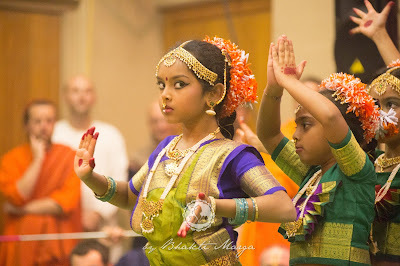 Later on, there was classical Indian dancing performed by a group of talented young girls. 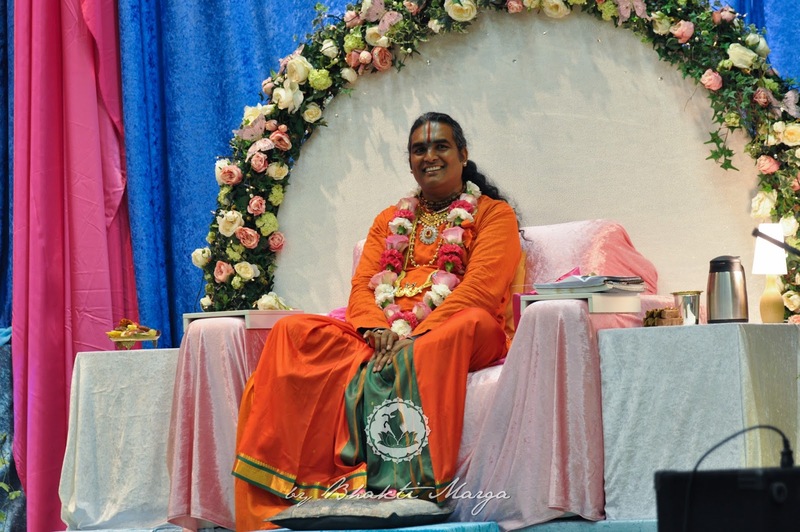 Sri Swami Vishwananda joins in on the fun. 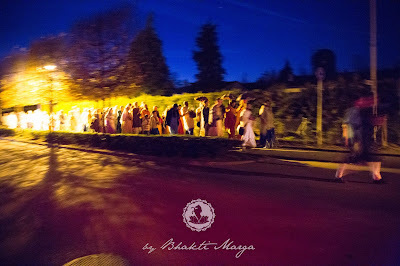 Karthik night is a night that reminds us why we’re on the spiritual path, especially the bhakti path. 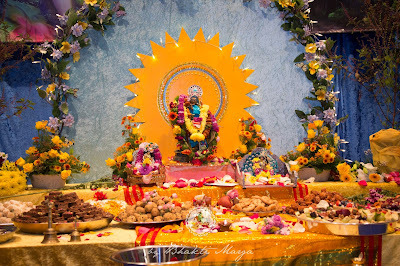 On this night, we dance, we sing, we enjoy prasad, and from all of this, Lord Krishna, Lord Narayana, blesses us with a hundred times more punya. How easy is the path of bhakti? 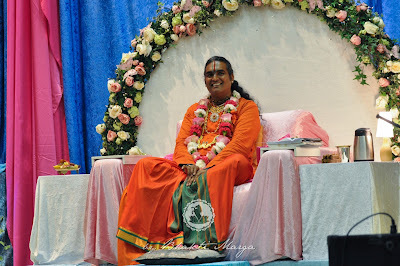 Just by coming together with fellow devotees of God, and having a great time throughout the night, we are able to attain the one thing that we have come to this Earth for – the Lotus Feet of the Lord. 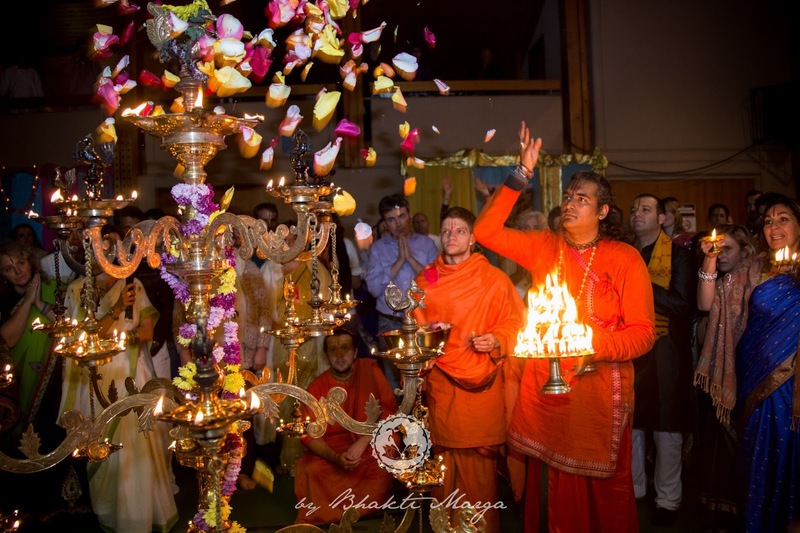 How blessed we are, to not only have the opportunity to celebrate Karthik, but to also be in the presence of a living master, Sri Swami Vishwananda, whose presence brings to life the spirit of Karthik, and whose grace grants us all that we need to live life to its utmost potential. Karthik night is truly a beautiful experience. 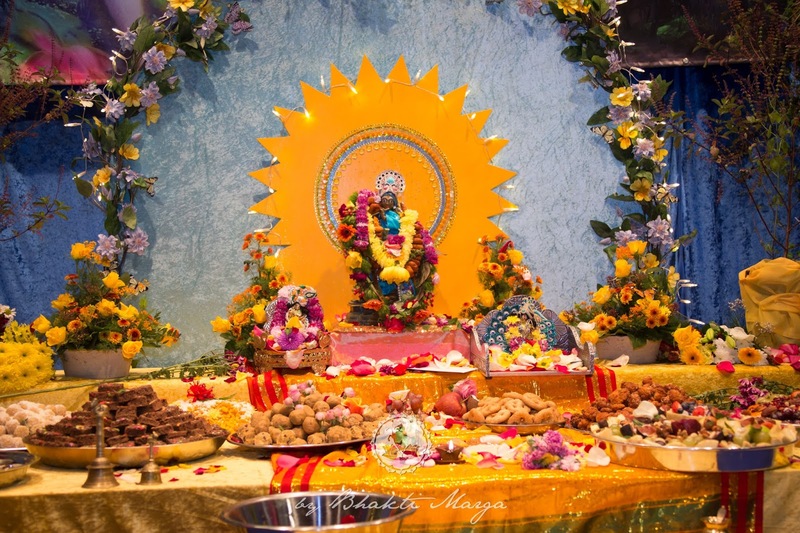 We hope to see you all for the upcoming Karthik at Shree Peetha Nilaya this week.